A report from Bloomberg has stated that Apple is working on some upgrades for its popular AirPods product. 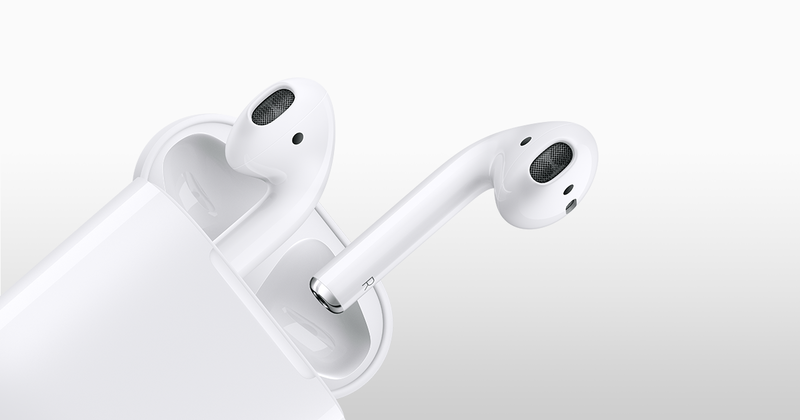 The original wireless Bluetooth earbuds were released in 2016 and have contributed significantly to Apple’s successful “Others” division (which includes the Apple Watch). It is rumored an upgrade of the AirPods with a new custom-designed chip will be released later this year, with a water-resistant upgrade being developed for next year. AirPods currently sport an Apple-produced chip called the W1. This may be upgraded to a chip apparently known as “B288”. Expected enhancements include an improvement of the personal assistant Siri function. Owners of current AirPods have to double-tap a pod to activate Siri. The AirPods upgrade should allow users to simply utter the command “Hey, Siri” without actually having to touch the headphones. Obviously a water-resistant upgrade would likely be met with enthusiasm. Considering AirPods cost a rather hefty US$159 from Apple’s online store at the moment, it’s prudent for users to take great care of their product. Being able to use them without concern in the rain will certainly add another selling point to the already considerable list of benefits the AirPods offer. The charging case for Apple's AirPods may also receive an upgrade. The tech company has previously teased a wireless charging case in 2017 and this might see the light of day in 2018.